How do I add Microsoft Azure Active Directory? Microsoft Azure Active Directory is a directory and identity management service that controls what type of access a particular user has for a given resource. How can I add Active Directory? 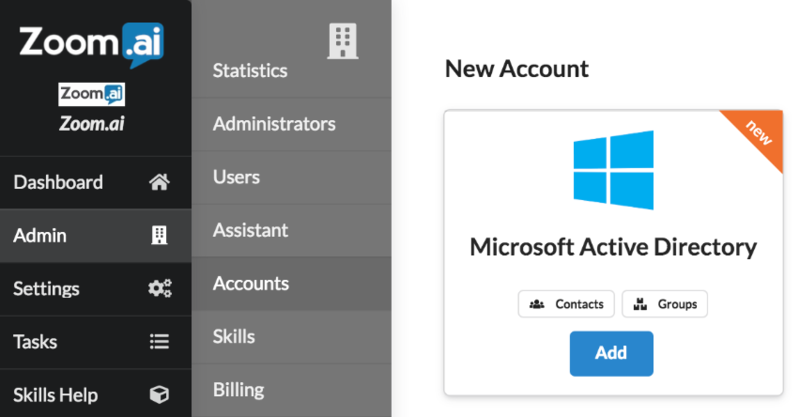 Active Directory can be added to the org by an Admin from here: https://app.zoom.ai/org/accounts/add. This is an Admin only option. Active Directory can NOT be added by an individual user. How do I add Zoom.ai to Microsoft Teams?